Today’s random act of wildness was something a little different. I’ve delivered a hedgehog SOS to all the houses in my street. I’ve made cards with a picture of one of our visiting hedgehogs on the front. Did you know we have hedgehogs visiting our road every evening? 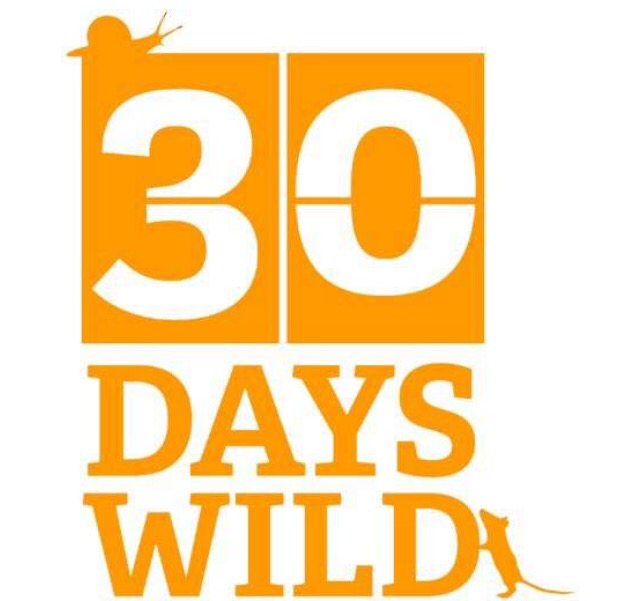 I’m Naomi and I live at number …….. Last summer we noticed a hedgehog in our garden for the first time and since then they’ve been visiting most evenings, with a short gap over the winter when they hibernated. The picture on the front is one of our visitors. We’re really lucky to have these lovely little creatures in our road, as they’re seriously in decline across the country. I wondered if you might be able to help them by doing these few simple things? Please watch out for hedgehogs when you’re driving at night, they’re surprisingly quick but not fast enough to avoid a car doing 30 miles an hour. Make a gap under your fence or gate so that hedgehogs can access your garden– the gap only needs to be small, about the size of a CD case or this card, hedgehogs roam over a large area at night, walking as much as three miles and need access to gardens to feed on your slugs, snails and beetles. Leave out a shallow bowl of water for hedgehogs and other wildlife– they get very thirsty in hot weather and dehydration can make them very ill. 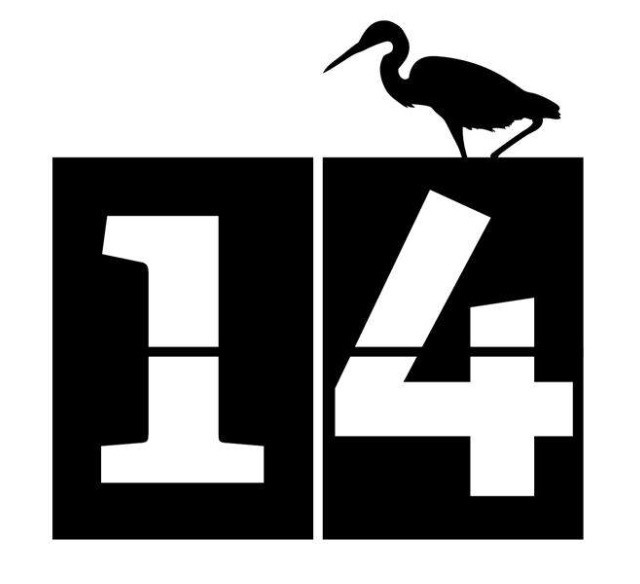 Check overgrown areas before mowing, strimming or digging. This is crucial. When hedgehogs feel in danger, their natural reaction is to freeze and curl up into a ball. This means thousands will die each year as a result of strimming injuries. Please make sure you check for hedgehog nests before gardening. If you do happen to find a sleeping hedgehog, do not move or disturb it. Instead try to work around it. 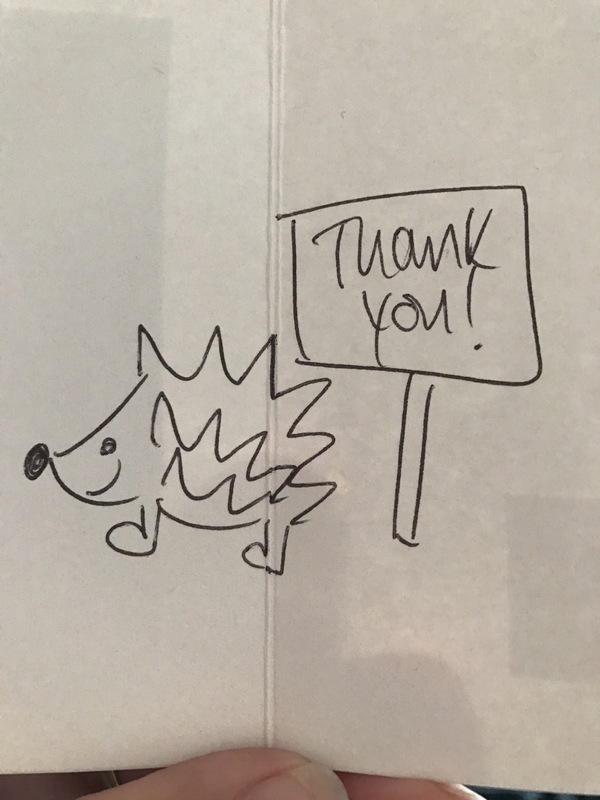 Thank you for reading and for helping our hedgehog visitors. I’ve put a little hedgehog sticker on each envelope and popped them through doors. 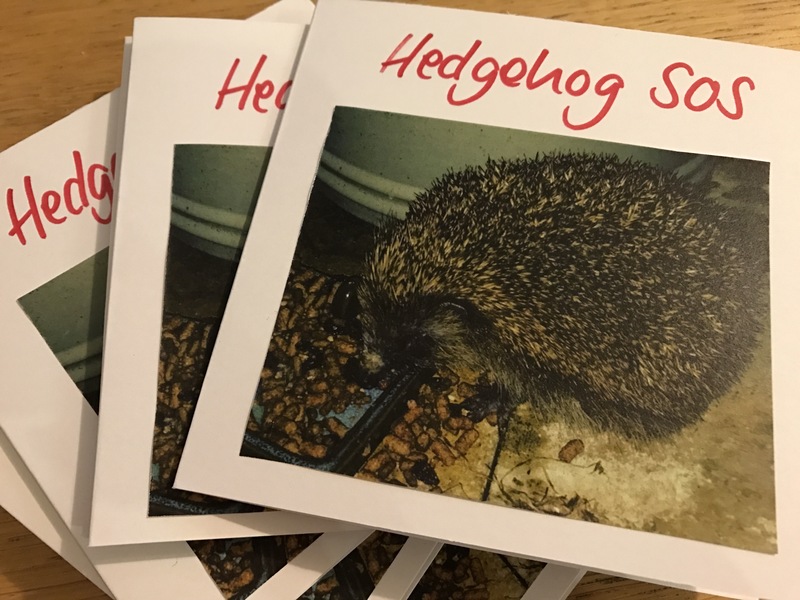 The cards are the perfect size of a hedgehog hole in a fence so they’ll act as a size guide for anyone who wants to make sure hedgehogs can get in to their garden. 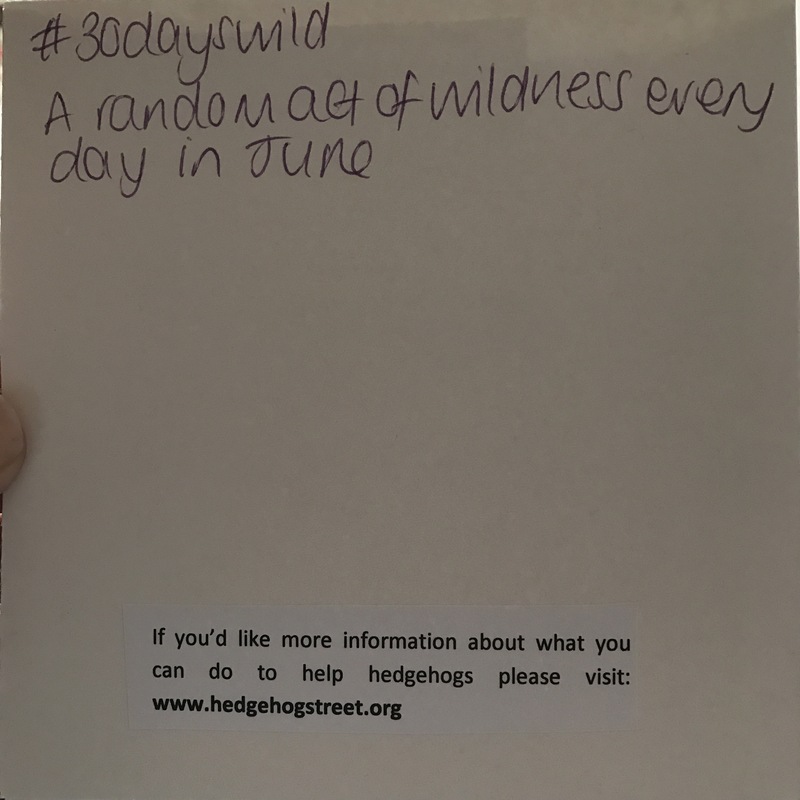 I love having our hedgehog visitors and I really worry for their long term future, so if this encourages even a couple of my neighbours to do a little random act of wildness for the benefit of the hedgehogs I’ll be delighted. I’m going to share information on the Facebook group for our wider estate too, to try and get the community behind our sniffly little prickly friends. Not yet, I’ll see what happens. Amazing!! Did any of them get back to you? Brilliant idea! Not yet, I’m hoping they may just be quietly taking it on board and putting some of the ideas into practice. Fingers crossed! Brilliant idea!! Sadly I don’t think we have any hedgehogs in our neighbourhood, but we have a gap next to our gate and we leave grass long just in case! This is lovely! I have put hedgehog preservation leaflets through the letterboxes of both mine and the neighbouring road (300 houses) for the past few years during hedgehog awareness week. This year I sent out hedgehog street leaflets with my name and email one. Sadly only one person responded but he is a knowledgeable wildlife chap and we now communicate regularly but we haven’t met yet! We have two hedgehogs visiting at the moment, I love the idea of printing either a trail cam image or photo and sending these out! Hopefully the information that there ARE hedgehogs in our road and the time and effort put in to sending out the leaflets might generate more interest? There are about 150 houses in my road though!